"The State of Play in Electric Vehicle Charging Services: Global Trends with Insight for Ireland", a recent report by Sarah La Monaca and Lisa Ryan, is now available below. Electrification of vehicle fleets, particularly in countries with increasing shares of renewable electricity supply, represents an important pathway toward low-carbon mobility. This report examines the role of electric vehicle (EV) charging infrastructure as a key enabler for EV uptake, and explores business models and policy approaches for promoting deployment. It then applies observed key principles to assess the Irish EV charging services market and identifies key recommendations for Irish policy. Unlocking the Potential of Energy Users in the Energy Transition - presentations now online! 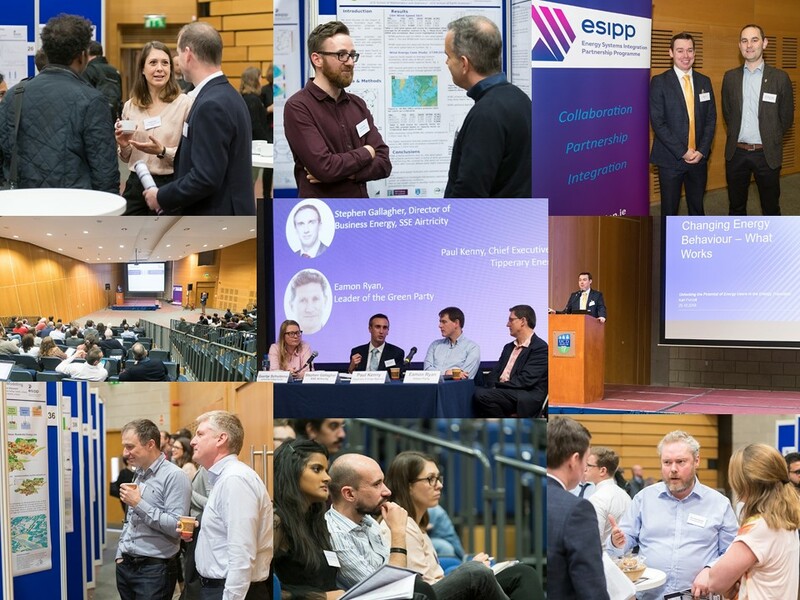 The ESIPP Symposium “Unlocking the Potential of Energy Users in the Energy Transition” took place on Thursday 25th October in Astra Hall in UCD. The event was attended by academics, industry representative and political stakeholders both national and international. Many thanks to all those who attended and helped make it successful event. The presentations are now available here. Can Irish manufacturing industry become prosumers of energy? 35 Paul Beagon What Energy to Warm Single Family Homes? 41 Desta Fitiwi Growing Data Centres in Ireland: Would This Cost an Arm and a Leg? The publications from the ESIPP research team are now listed on our website on the Publications page and under each of the work package pages in the Research section. If you see anything of interest please get in touch! The programme for the ESIPP Symposium "Unlocking the Potential of Energy Users in the Energy Transition" is now available. This event brings together expert academics and industry stakeholders to examine the opportunities and challenges around end users participating in the energy transition. You can find more information on the schedule for the day and register through our Eventbrite page. Attendance is free and refreshments and lunch will be provided.